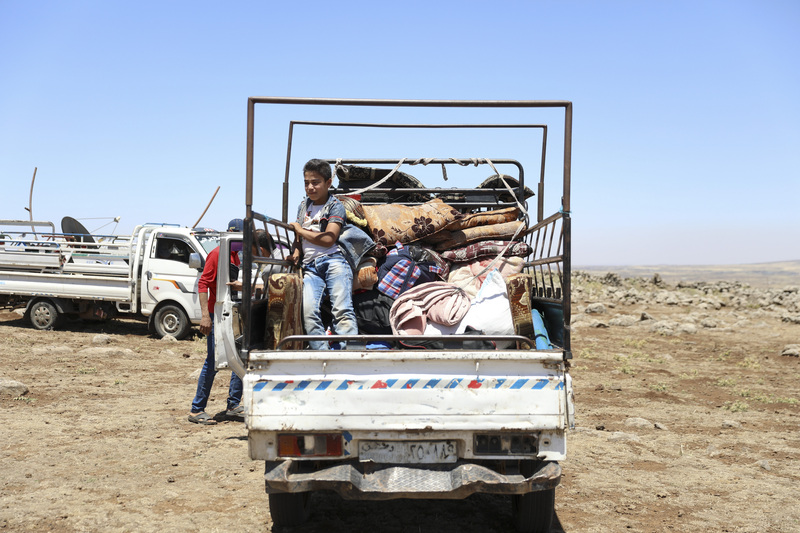 Families fleeing escalating violence in Deraa setting up tents on the southwestern borders of Syria. DAMASCUS/AMMAN/NEW YORK, 27 June 2018 – “Horror knows no limit in Syria, where children are yet again caught in the crossfire of the latest wave of violence in the southwest. Fighting has displaced an estimated 20,000 children and their families in just three days. Four children have reportedly been killed and many more have been injured. “Children and families need food, hygiene, medicine and protection. Those wishing to flee should be allowed to reach safe havens, away from the sights and sounds of war. “I call on all warring parties in Syria to respect the fundamental principle of protection of civilians in conflict and to always place children’s safety and well-being above all else. “UNICEF stands ready to support those affected by this new escalation. Our teams are already providing health, nutrition, water and sanitation, education and psychosocial support to hundreds of thousands of families across the southwest.